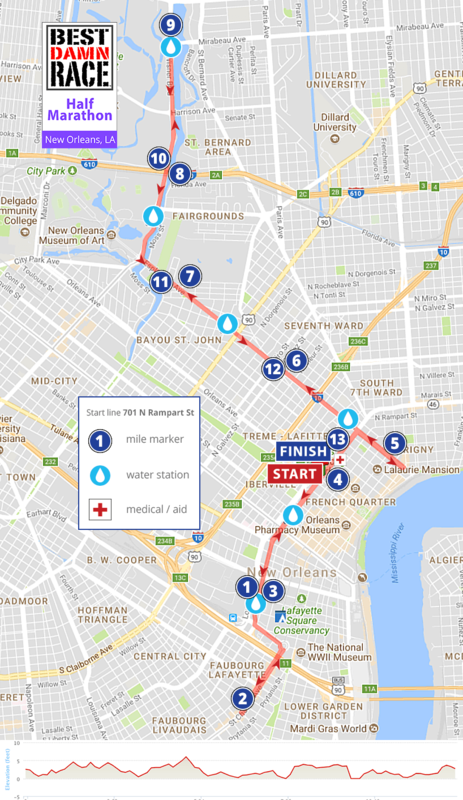 The Half Marathon will start and finish in the French Quarter at Louis Armstrong Park. This course provides 11 aid station opportunities with 2 port-a-potties per station. Aid Stations will have Gatorade & Water. Aid Station #2 (Mile 3.5) & #4 (Mile 6.5 & 11.5) will include GU Engergy Gels & Cliff Shots. The Half Marathon is a USATF Certified Course #LA18011DR. 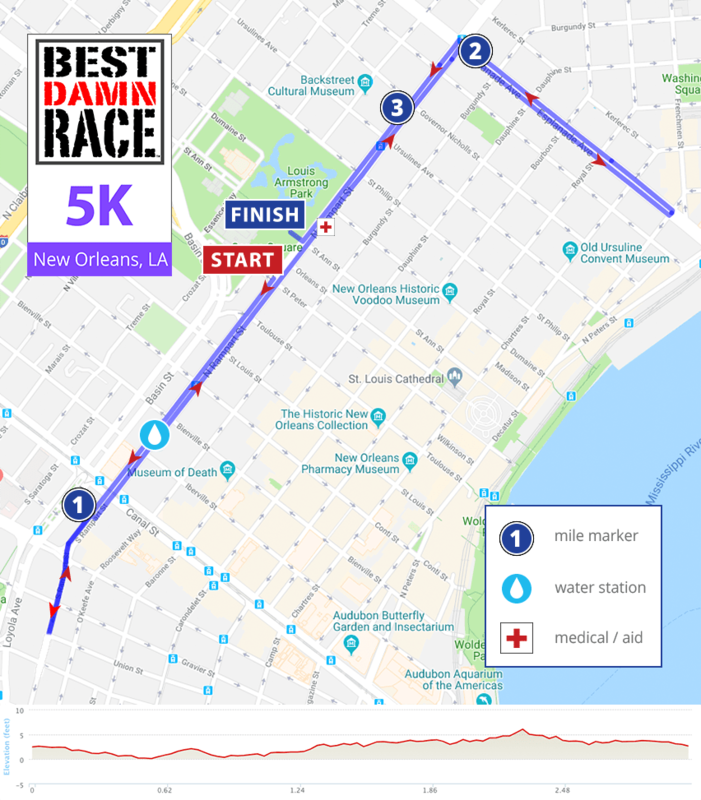 The 5K will start and finish in the French Quarter at Louis Armstrong Park. The 5K is a USATF Certified Course #LA18012DR.